Our living plant collections are where beauty, science, and nature come together. Through the development and maintenance of these collections we serve as an educational instrument for campus and community; facilitate botanical, horticultural, and environmental research; support the preservation of species and natural habitats; enhance the aesthetic value of the Penn State University Park campus; and provide a venue for the arts and public events. The Arboretum at Penn State is a partner with The American Chestnut Foundation (TACF) in its program to breed a variety of American chestnut that is resistant to the chestnut blight. The blight fungus was introduced on nursery stock imported from Asia sometime prior to 1904. Within half a century, the disease had killed (to the ground) virtually every American chestnut tree within the species’ native range of 300,000 square miles. Millions of basal sprouts from the blighted trees still survive, but when sprouts grow into larger trees they inevitably succumb to the blight. American chestnut was especially common in Pennsylvania, where it was one of the most abundant trees in the second-growth forests that dominated the state even prior to the 20th century.Because the American chestnut has essentially no natural resistance to the blight fungus, breeding a blight-resistant variety requires the use of genes from one of the Asian chestnuts that have resistance. The TACF breeding program involves hybridizing American with Chinese chestnut and then making three successive backcrosses to American chestnut to automatically dilute the Chinese proportion of the genome while carefully selecting for only those trees that carry Chinese resistance alleles. The 4th-generation hybrid trees are then intercrossed, and a small proportion of their progeny (5th-generation trees) are expected to carry all resistance alleles in the breeding program. 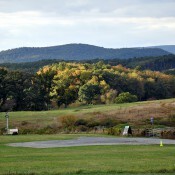 The TACF breeding orchard in the Arboretum contains 5th-generation trees and is still in development. 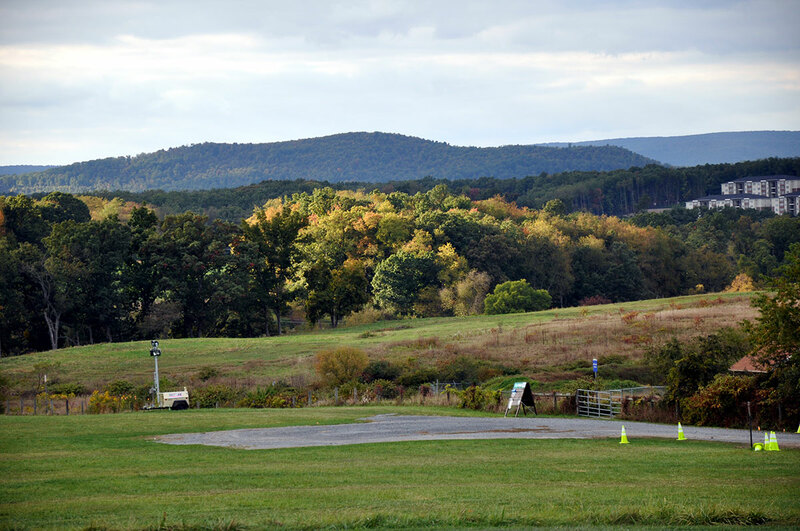 Ultimately, the Arboretum orchard will yield seedlings with elevated levels of resistance created specifically for Pennsylvania, and these seedlings will be available for distribution. The Pennsylvania program is the most advanced blight-resistance breeding program in the country other than the central TACF program in southwestern Virginia. In addition to the H.O. Smith Botanic Gardens, The Arboretum at Penn State includes over 100 acres of natural lands – fields, woodlands, hedgerows, and a five-acre prairie restoration site – which are open to the public for exploration and enjoyment. The plants that grow in these natural areas are managed as ecological collections. Read more about some of our natural lands below. 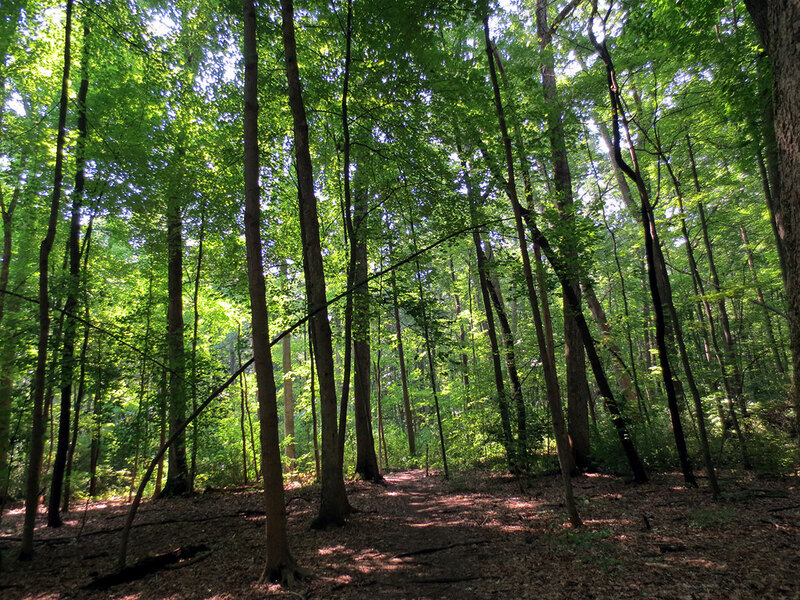 Nearly all of the trees in this 43-acre forest remnant are native to Pennsylvania and this locality, with the prominent exceptions of Norway maple and mazzard cherry. In contrast, almost 40% of the shrubs, vines, and forbs are non-native, and many are considered to be aggressively invasive. 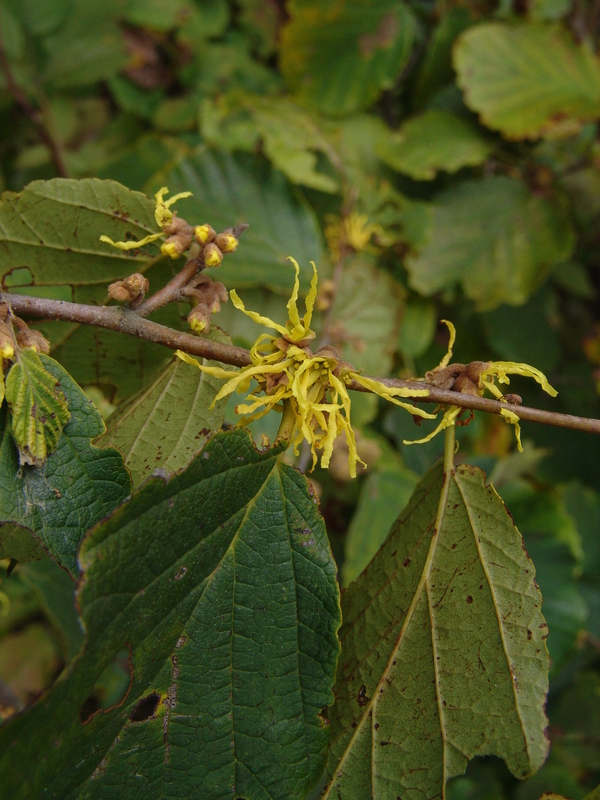 The most common of these are privet, Asian bush honeysuckles, common buckthorn, Oriental bittersweet, and garlic mustard. 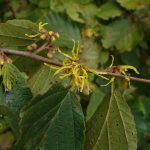 Of the most common shrubs found in the Hartley Wood, only southern arrow-wood is native to our region. 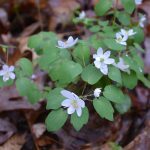 However, despite the displacements likely caused by the invasion of non-native species, the Hartley Wood still harbors some uncommon and even relatively rare elements of Pennsylvania’s native flora. The great majority of the overstory trees in Hartley Wood exceed 140 years of age, and some even pre-date European settlement. The canopy of the stand – in which oaks, hickories, and eastern white pine are heavily represented – is more or less representative of the most typical pre-European stand composition in this region. However, the overall character of the stand is changing as more shade-tolerant species such as red maple become common and as European and Asian species invade. Because it is one of the Arboretum’s goals to encourage native species, we have begun actively restoring this area. 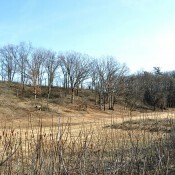 One of the most important steps in securing the future of this unique habitat was made possible by a generous gift from Henry Gerhold in memory of his wife Marilyn Quigley Gerhold. 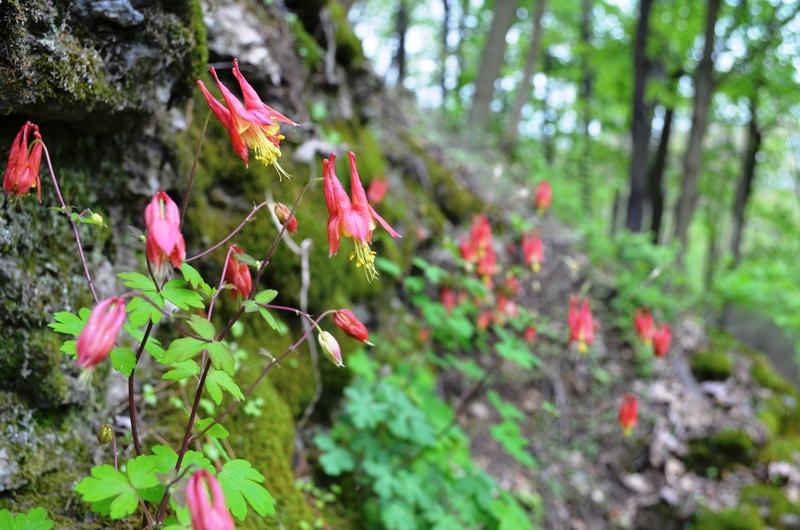 Gerhold was inspired to fund the creation of a wildflower trail by Quigley and Gerhold family traditions of taking nature hikes in the nearby mountains and fields with their children. 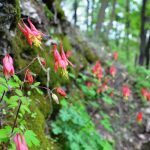 His purpose in funding the Gerhold Wildflower Trail is to encourage people to enjoy and learn about native wildflowers, and appreciate nature. Work on creating the trail began in 2015. 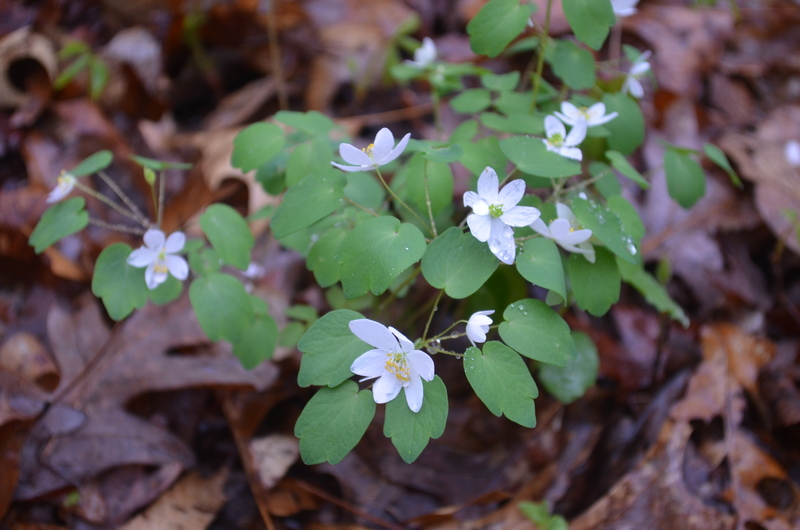 Since then more than 1,000 student volunteers have assisted Arboretum staff in improving the trails in Hartley Wood, removing invasive species, and planting wildflower species native to central Pennsylvania to supplement those already there. Several of the wildflower species are shown here. If you would like to volunteer to work on the Arboretum Natural Lands Work Group, please see our volunteer web page. 1Grinstead, S.C. 2007. 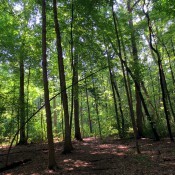 A Restoration Management Plan for the Hartley Wood in The Arboretum at Penn State. Master of Forest Resources Paper, The Pennsylvania State University. 211 pp. 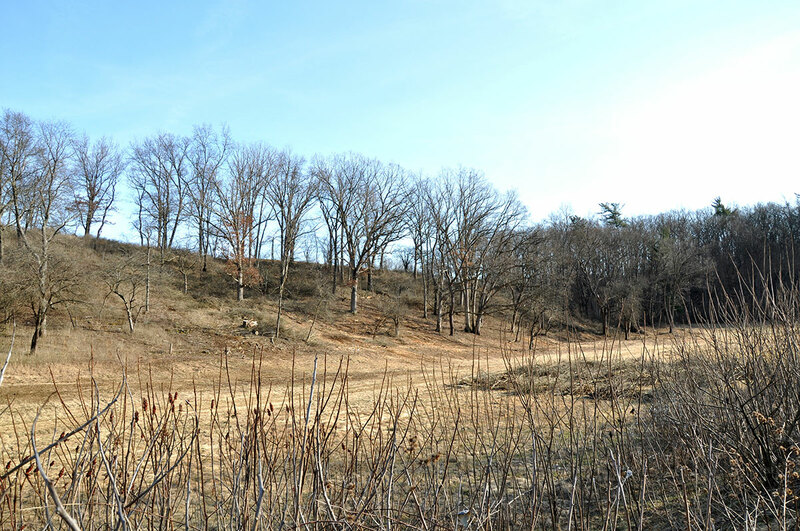 In winter 2011, we began recreating a dry limestone prairie on a five-acre parcel within the Arboretum grounds. 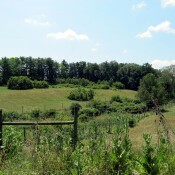 The site, once overgrown with invasive shrubs, is now supporting newly-seeded grasses and perennials native to Centre County, Pennsylvania. 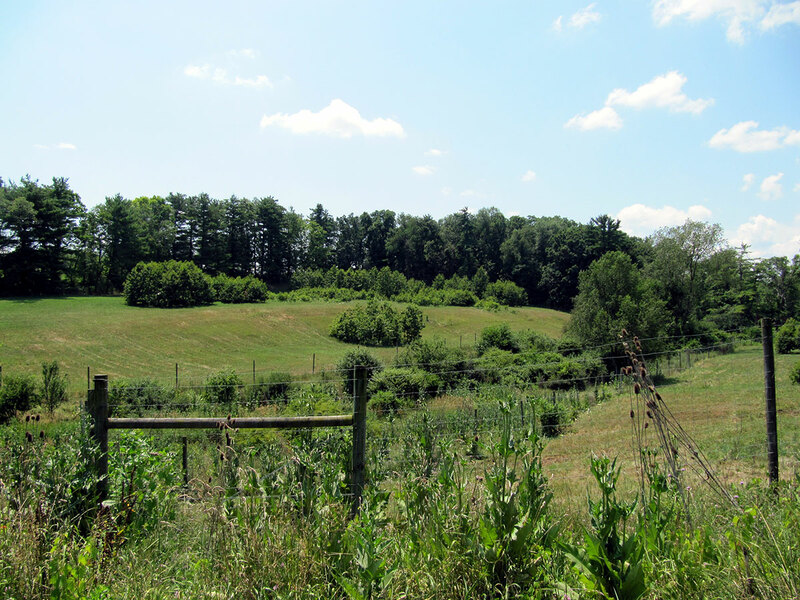 While limestone prairies were never common in this region, their existence was noted as long ago as the 1770s, and some remnant parcels persist to this day. While we do not know whether an extensive prairie once existed on the current restoration site, small patches of prairie plant species in the area provide evidence that reconstruction could be both suitable and successful. 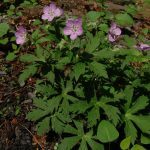 By recreating this rare but native plant community, we hope to contribute to the ecological diversity of the local landscape and restore some of central Pennsylvania’s natural heritage. The H.O. Smith Botanic Gardens house the Arboretum’s cultivated collections, which comprise gardens and groves of plants assembled for their botanical interest, educational and research value, and beauty. As a young institution, the Arboretum is still in the process of developing these collections, and we shall refine and build upon them for decades to come. 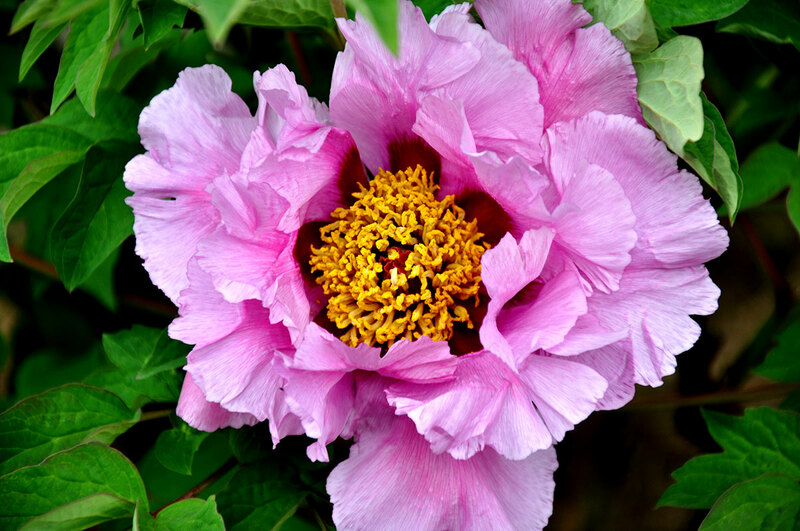 Ornamental plants in the rose, pea, dogwood, pine, and cypress families feature prominently in our display collections, as do viburnums, hydrangeas, and graminoids, or grass-like plants. As we grow, our collections will develop focus and value in accord with plans guided by the Collections Committee. Display collections will illustrate horticultural themes and demonstrate gardening principles; geographic collections will bring together plants representing the native flora of specific places; taxonomic collections will assemble plants belonging to selected taxa; thematic collections will feature specimens selected for shared characteristics such as growth form or bloom time; conservation collections will preserve the genetic material of rare or endangered native plants; and teaching collections will support course-based academic instruction at Penn State. 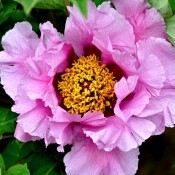 Scientific name: a name composed of two parts, the genus and specific epithet, which together denote the plant species. The entire scientific name is italicized, with the first letter of the genus being capitalized. The specific epithet, however, is never capitalized. Other infraspecific-rank names may also appear on labels: subspecies (subsp. ), varietas (var. ), and forma (f.) are the most common. Cultivar: a plant that has been selected and maintained, usually through vegetative propagation, because of desirable characteristics. 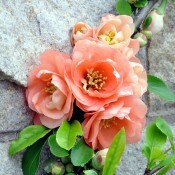 The cultivar is indicated by single quotations after the scientific name. 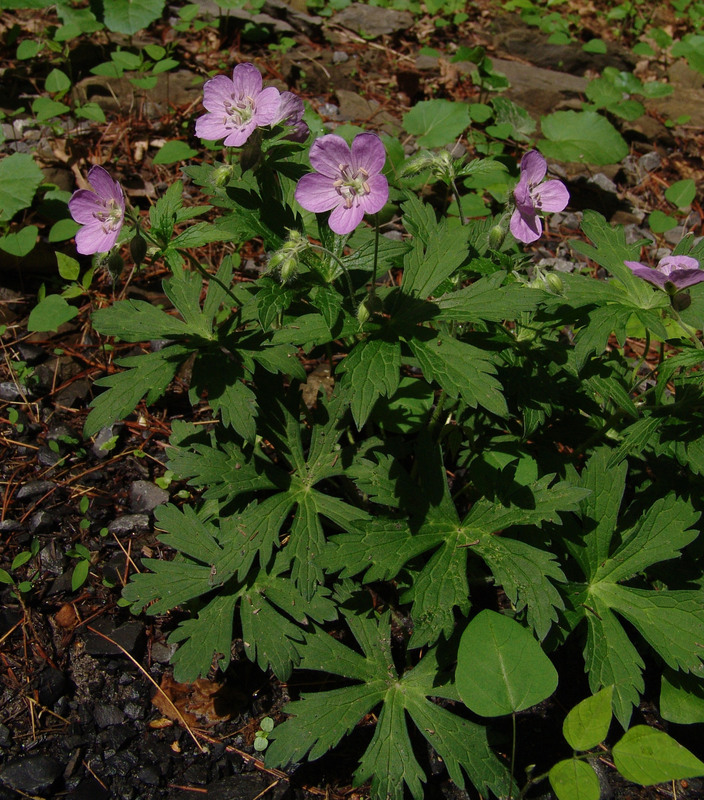 Common name: a name used by a general community to describe the plant species, which often varies between regions. For stylistic purposes, the common name is indicated on our labels in bold with capitalized letters, although common names are not normally capitalized. 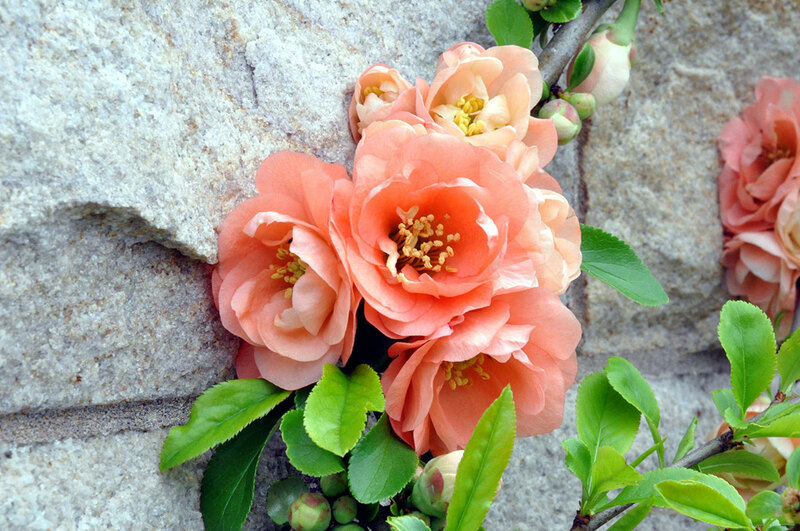 Trademark name: a name commonly used in nursery production to label and sell cultivars. The trademark name is shown after the common name with a trademark (™) or registered trademark (®) symbol. Family: the taxonomic rank above genus. All members of a plant family are genetically related, having evolved from a common ancestor. The family is shown in the bottom, left-hand corner of the label.